What do you get when you mix craftsmanship and style? 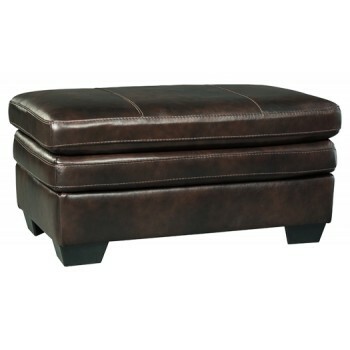 This ottoman. Beautiful stitching adds interest to the buttery soft cushion. Enjoy 100% supple leather on top and a handsome two-tone color effect all over. Throw your feet up in comfort.